New 2013 Ford Escapes after the recall of more than 400,000 Fusion, Escape and Taurus models from 2013 for a potential fuel-tank leak. You know those things you never do, those “recalls” for potentially dangerous aspects of your vehicle? Well, Reuters reports that U.S. recalls are at their lowest level since 2013. Perhaps yours isn’t on the list. Vehicle recalls in the U.S. fell to 30.7 million last year, down from a record 53 million in 2016 when the Takata airbag scandal really got rolling. The NHTSA has pressured automakers to recall more vehicles since 2014 after an ignition switch defect in General Motors Co (GM.N) cars was linked to 124 deaths. The agency imposed record fines on companies that failed to follow safety rules. From 2014 through 2016, U.S. auto safety recalls set annual records of almost 50 million or more annually. In the prior 20 years, annual U.S. auto recalls ranged from 10.2 million to 30.8 million. Under aggressive enforcement by the Obama administration, automakers issued a record 924 recall campaigns in 2016, up 7 percent over the previous high in 2015. In 2017, total recall campaigns fell to 813. 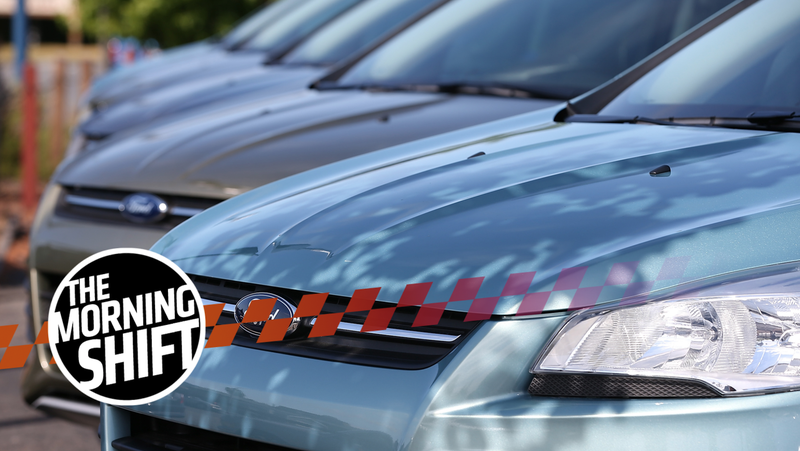 Don’t let lower overall recalls make you feel better about the car you’re driving. Check to see if it has any active recalls, and get them done. Your busy schedule isn’t more important than your life. President Donald Trump an executive order imposing new tariffs on steel and aluminum Thursday afternoon, which would put a 25-percent tariff on steel and a 10-percent one on aluminum. That’ll raise the price of cars, but it may have more of an effect on production than it will on the end cost of the car. The U.S. auto industry took a slight tumble during Trump’s first year in office after rebounding from the worst downturn since the Great Depression to set a series of all-time records under President Barack Obama. Before his successor raised the threat of tariffs, manufacturers already were preparing for another modest decline in 2018. CNN Money also has a quick summary of U.S. companies that could be affected by the tariffs and how, in a list that includes auto parts manufacturers, Boeing, Ford and General Motors. Speaking of recalls and Takata, the company is still working on fixing those airbags that have the potential to explode and shoot shrapnel at people in the car. But U.S. senators don’t think Takata’s working quickly enough, and they called for a hearing near the end of the month to examine where things are at. Reuters reports that Takata said in June it expects to recall about 125 million cars worldwide for its faulty airbags by 2019, and about 60 million of those were in America. Takata filed for bankruptcy around that time, and was bought out by a smaller company called Key Safety Systems. Reuters reports that Takata, whose list of faulty airbags just continues to grow longer, did not respond to request for comment before the report published on Wednesday. Crossovers and SUVs may be the bane of a car enthusiast’s existence, but they make automakers serious cash—cash that can help offset extra spending on research and development for something hopefully more exciting than another crossover or SUV. Automotive News Europe reports that BMW had a 5.3-percent increase in operating profit in 2017, despite a huge rise in spending on R&D. Research and development expenditure rose by 18 percent last year to 6.1 billion euros, as the company invests in electric and autonomous vehicle technologies. The BMW brand reported car sales of 2.09 million vehicles last year but rival Mercedes-Benz saw higher sales of 2.29 million passenger cars. Overall automotive sales, including the Mini and Rolls-Royce brands, rose 4.1 percent to 2.46 million vehicles, BMW said. Deliveries of electric and hybrid vehicles jumped by 66 percent to 103,080 units. Automotive News Europe reports that BMW said it wants to increase its sales of electrified vehicles—which means a car is somewhere on the electric scale, from mild hybrid to full EV—to 140,000 this year, and wants half a million electrified BMWs on the road by the end of 2019. The net loss of $47.2 million was more than the fourth quarter of 2016, when Carvana reported a loss of $35.7 million. The company said sales in the fourth quarter of 2017 were up 141 percent from the previous year, while revenue was up 148 percent and total gross profit was up 798 percent. Revenue also missed the mark, despite more than doubling to $265.1 million in the fourth quarter from $106.8 million a year earlier. For the full year, the Phoenix company sold 44,252 retail vehicles, falling short of its projections of 44,300 to 45,700. Revenue more than doubled from the prior year to $858.9 million. The good news for Carvana is that the company said it’s spending less money to get customers nowadays due to “operational improvements.” That’s letting it open up vending machines more quickly and spend less money on ads. On March 9, 1964, the first production Ford Mustang rolled off the assembly line. The starting price, according to USA Today, was $2,368. The car believed to be the first production Mustang went up on eBay in 2012 for $5.5 million. Happy birthday, Mustang. Thank the heavens that it isn’t the weekend, or else you and all of your buddies would probably be celebrating your birthday with a nice peel out from Cars and Coffee. Neutral: Would You Buy A Car From A Vending Machine? If private-party sales online weren’t your thing—because, let’s admit, that’s a way of life for most of us—would you buy a car from a vending machine, or is that just too creepy? Correction: We originally said Carvana customers bought cars through the giant vending machines, but they just serve as a means of pickup. We’ve updated the Carvana section to reflect that.